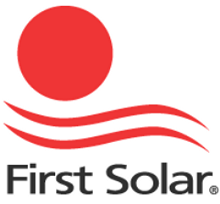 First Solar was founded in Arizona in 1999, but the commercialization of their solar panels began three years later. In the following years, First Solar shifted part of the photovoltaic manufacturing process to its plants in Ohio and Germany, also starting new production lines in Malaysia. In 2009, the company acquired OptiSolar’s PV systems projects, a California-based company active in the construction of solar power plants. This operation was followed in 2010, by the acquisition of NextLight Renewable Power. 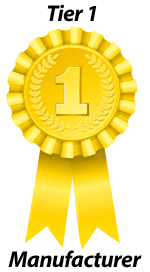 Again in 2010, First Solar created Utility Systems Business Group, engaged primarily in the development of utility scale solar projects. First Solar’s Australian headquarter is located in Sydney, but the company operates worldwide thanks to a broad sales and production network and thanks to important partnerships with companies such as Gehrlicher Solar AG, COLEXON Energy AG, Phoenix Solar AG, Conergy AG, Juwi Solar GmbH and Sorgenia AS Solar. First Solar took part to the creation of several important projects by providing modules and solar panels, for example, the construction of the ex- military base of Lieberose near Cottbus, the Bentegodi stadium in Verona, Italy, the Ordos City project in Mongolia and the largest plant in the world based in Ontario. The company’s production lines are mostly based in the United States and are specialized in the manufacturing of thin film photovoltaic modules, ranging from 60 to 92.5 Wp. 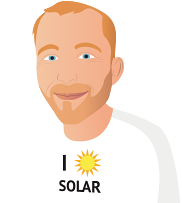 If you would like to find out more about First Solar, you can read our clients reviews of their solar panels, you can browse the list of their photovoltaic solutions below.